Church Camp is September 7 – 9 at Pine Lake United Methodist Camp in Westfield, WI. We will have a set of sites for a group. 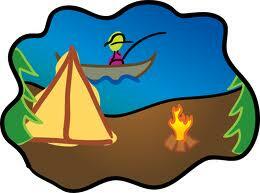 The sites have water and electricity and you can bring a tent or a camper. For those who prefer, they have cabins as well. We hope to get a number of families to go. We’ll have hamburgers and hot dogs cooked over the fire for dinner Saturday evening (asking all families to bring a side dish or dessert to pass) followed by a bonfire worship service. For more information, call the church office.